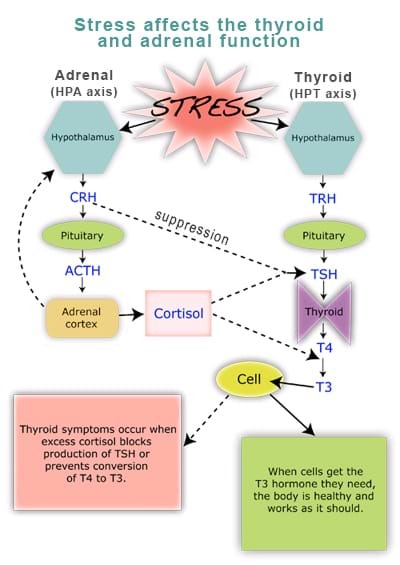 Today, we are discussing how stress can affect your thyroid and what you can do to ease the stress in your life. �Supply the raw materials. Fortunately, there are many opportunities to promote healthy thyroid hormone production with nutrients. Selenium, iodine, and vitamins A, B, C, and E are all necessary players in the production of thyroid hormones. So a high-quality multivitamin�mineral complex like the one we offer in our approach is essential for thyroid support.